It’s probably not the first country that comes to mind when you decide to go camping. It’s probably not even the first country that comes to mind in Africa. Well think again! 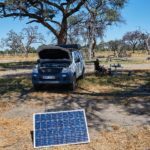 It turns out to be an amazing country to explore with your own (or hired) car and camp. 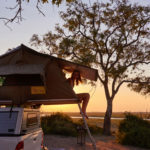 These are the best Uganda campsites. We’ve described Murchison Falls in this post and it’s definitely worth a visit. It’s a bit out of the way but once you’re there you’re rewarded with a magnificent view on the Nile and the falls. Camping in the park itself is wonderful if you take a ranger along. The ‘regular’ campsites in the park aren’t that spectacular. We ended up at a pretty spot (N 2°16.459′, E 31°22.717) overlooking the Nile using the iOverlander app. You’ll have to show up just before sunset and leave early in the morning if you want to do this without a ranger. The Shoebill Campsite, part of the nearby Nile River Lodge, is a more common choice. The view on the Nile is breathtaking and the lodge’s kitchen is really good. A great night guard will welcome you and he’ll even make a fire for you to keep you warm on those ‘cold’ winter nights. The ablutions aren’t that spectacular but the view and location make up for this. Within 5 minutes you’re in the heart of the park. More game can be found in Queen Elizabeth National Park (QENP). 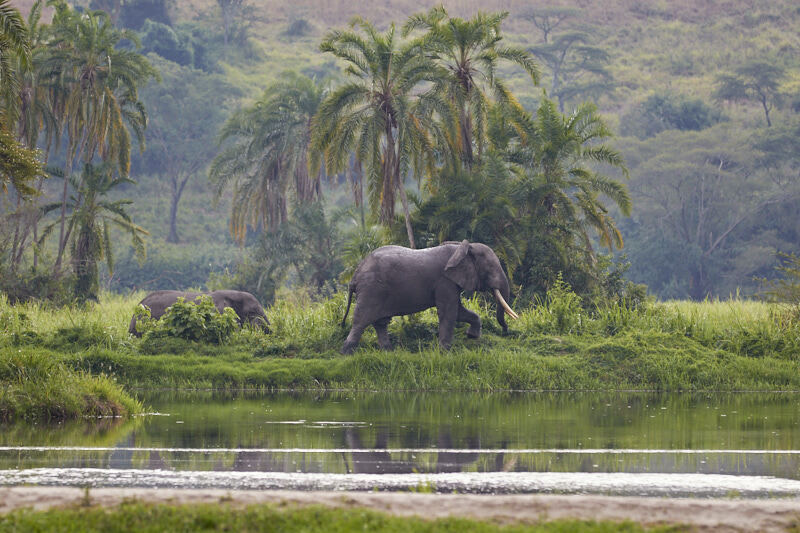 QENP is one of the biggest and most frequently visited parks of Uganda. The Enjojo Lodge is bordering the Ishasha (Southern) sector of the park where the animals roam freely. Without paying any park fee we managed to see lions, elephants, zebras and kobs amongst other animals. It’s a rather new lodge and offered a proper camping experience. Grass to camp on, a kitchen, a place to make a fire and clean ablutions. You can also decide to stay in the lodge or book the chalets near the campsite. The water hole near the restaurant is frequently visited by animals. Can you think of anything better then watch the sunset with a beer in your hand while some elephants are drinking right in front of you? Have you seen enough animals for a while? The Haven might be just what you need to relax. 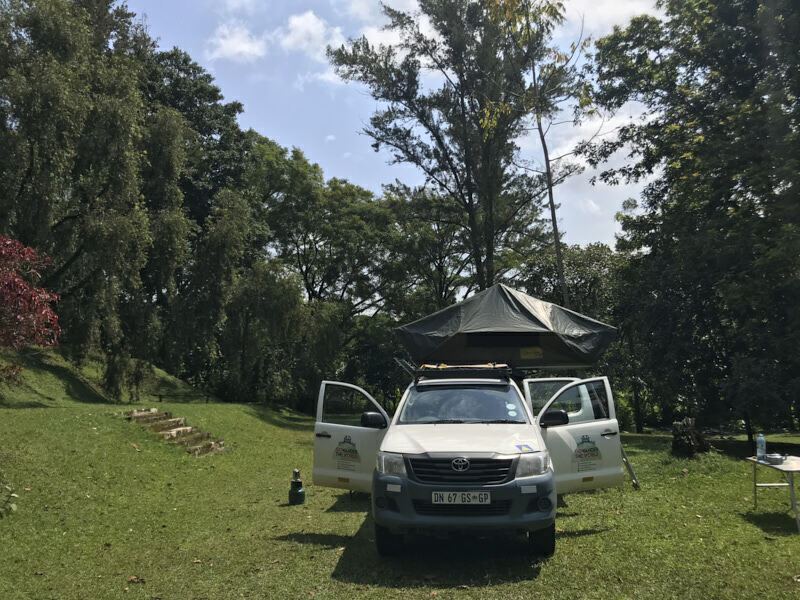 This campsite can be found a bit North of Jinja, the capital of white water rafting on the Nile. There are a couple of magnificent spots overlooking the Nile and the facilities are amazing! There’s a proper restaurant, the ablutions are one of a kind and if you fancy a swim just jump into the pool. If you’d like to stay in a cottage that’s also a possibility. 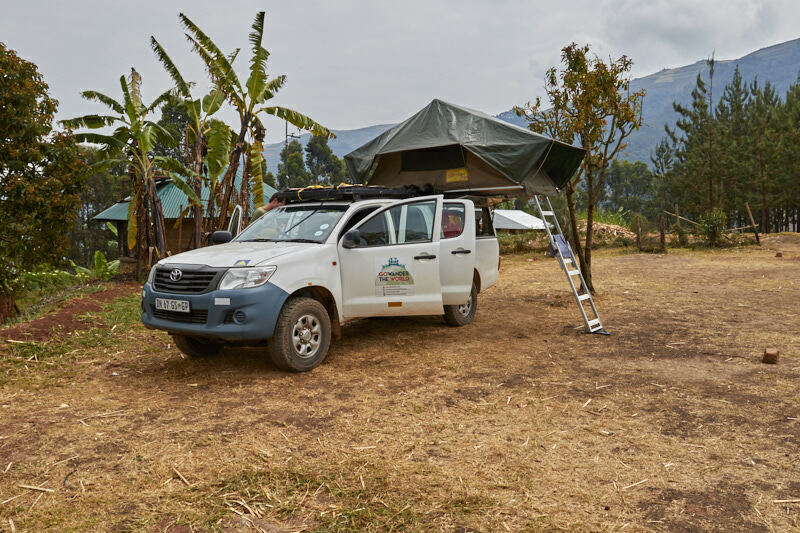 Fort Portal hosts two (there’s plenty of them around here) special Uganda campsites. Tom, the owner, is a 70 year old Ugandan who owns an amazing piece of land with a forest, fishing pond and hiking trails. He’s such a nice guy and owns the Whispering Palms Campsite. This European schooled hotel manager worked throughout Africa before opening this campsite at the house he grew up in. While the ablutions are a bit outdated it’s a great place to spend a night after a long drive. 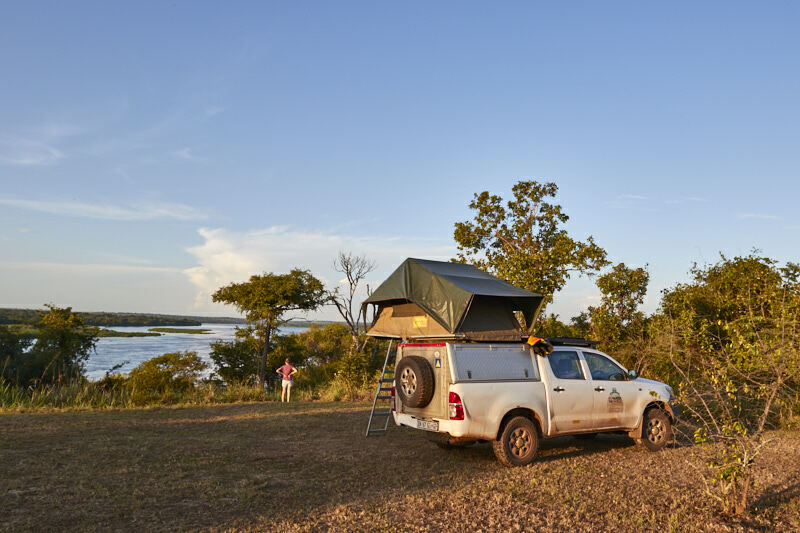 The next dat you’re in for a short drive to the Nkuruba Community Campsite. 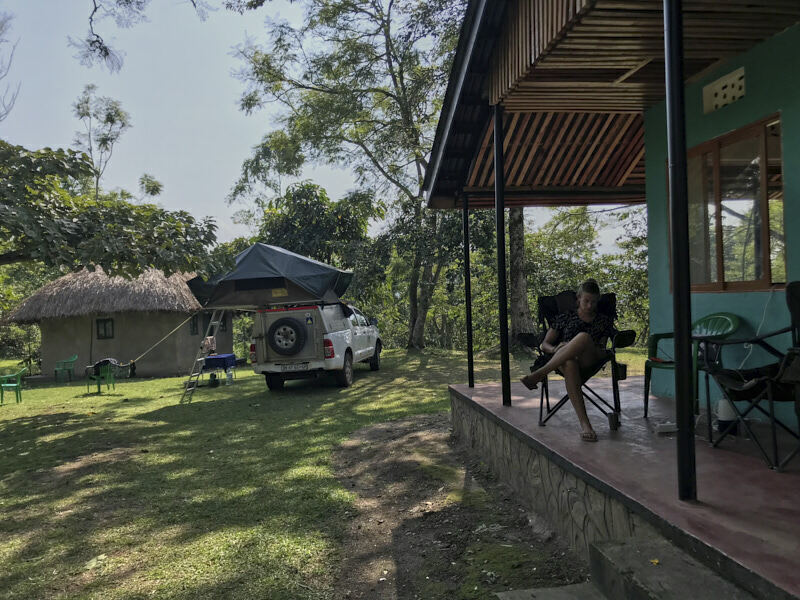 This campsite is ridiculously cheap but does put you in the remains of a forest where the endangered black and white colobus, red-tailed monkey the unique red colobus leven. 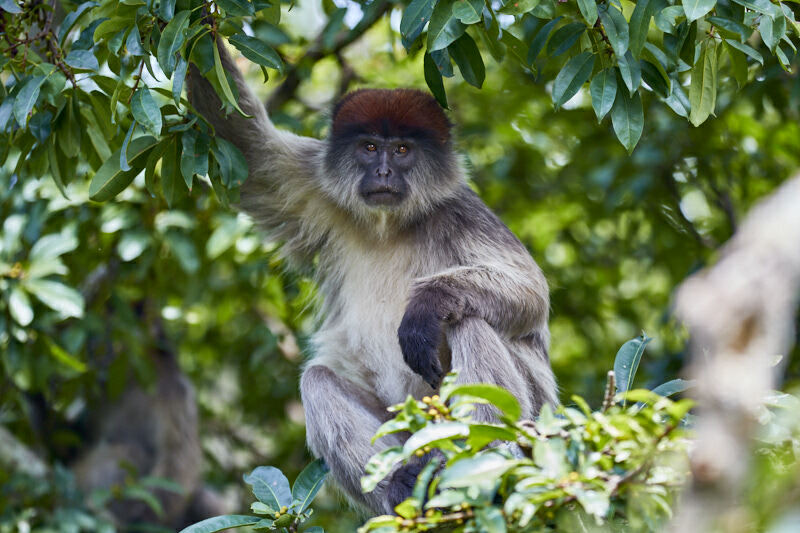 The campsite is right next to a crater lake and the forest surrounding this lake gives you the opportunity to see these monkeys from up close! 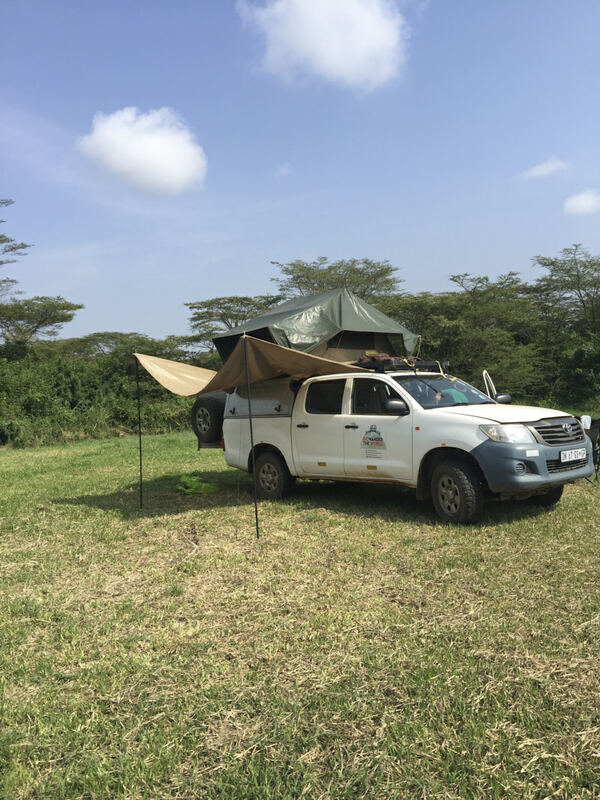 While it isn’t that much of a camping we had to mention Amasiko Homestay. 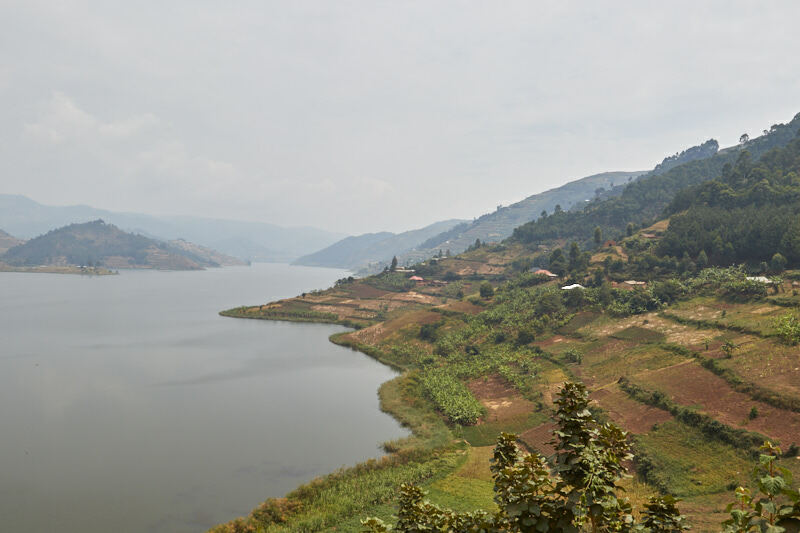 Situated on a peninsula in Lake Bunyonyi this is truly something different. 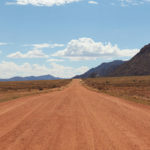 You’ll have to take a small and interesting road to get here. The six cottages all face the lake. If you’re camping on top of your car you’ll camp right on top of the hill almost in between the locals. You’ll automatically become part of the village once you stay there and that means playing some football with the kids. If you fancy doing nothing all day then that’s perfectly fine too ;-)! These are for us the best Uganda campsites. 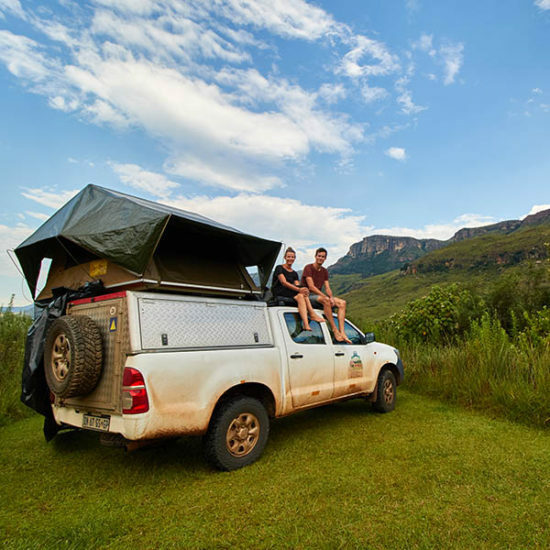 Do you miss a campsite let us know or tell your experience of one of these campsites. 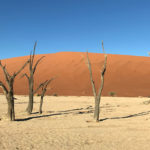 ← Can I fly my drone in South Africa? 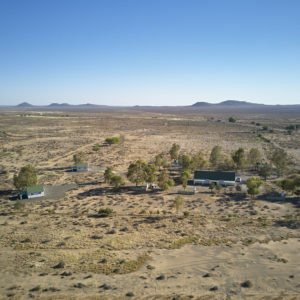 Can I fly my drone in South Africa? 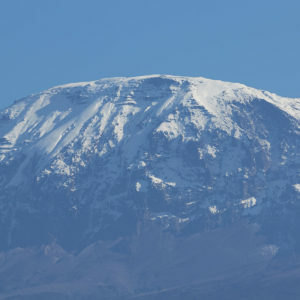 Where do you have the best view of Kilimanjaro?